Need some assistance taking cute animal photos? We've got your back. Snapimals is an interesting twist on animal photo safaris, only it's for your mobile device. 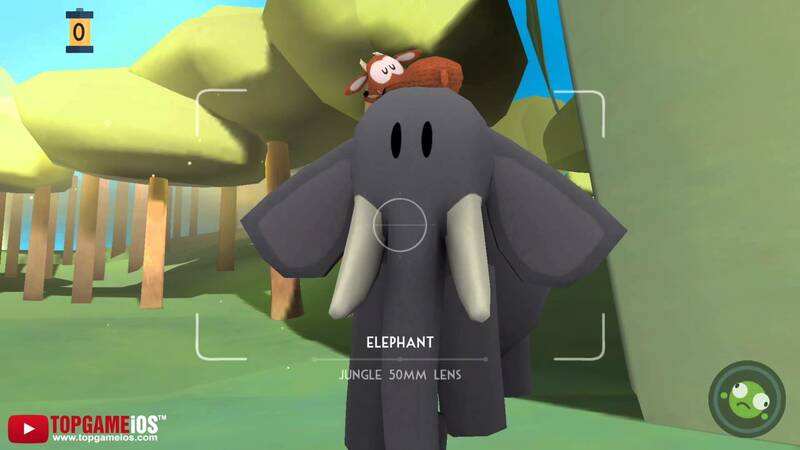 BeebopBee's virtual wildlife excursion allows you to get up close and personal with adorable animals just begging you to take their photo. But you've got to be careful about how you take the pictures required of you if you want to max out your points. We've got some tips and tricks you can try out if you want to up your game and make the animal photographers of old proud! Make sure you upgrade your museum! Upgrading your museum is important for a multitude of reasons, most of which will directly benefit you. You can earn more income, unlock new pic frames, and even unlock new animals in a certain region. From here, you can also create more ticket booths, docks, and bridges to generate even more income. You'll have to use items like clay, rocks and other blocks to upgrade your museum and accomplish all this, but it's worth it in the end when you're automatically earning without having to really do anything. When you finish your wildlife tour, you'll find items that you captured during the tour as "Bonus Finds." You can sell these things off because you don't actually need them for anything, and you'll net a hefty set of coins instead for them. You'll also see extra camera rolls sometimes under Bonus Finds, which will allow for more shots to be taken. Make sure you're always checking here to easily and very quickly rack up the resources you need in order to progress in the game. Check up on requirements before shooting photos. Some of the more expensive photos that net you more points are just difficult to take. That shouldn't keep you from attempting them, though. Just go to the museum and check out the Captain's Pics area to see what photos require which actions from you to get the most points. You might for instance have to throw one of your goofballs at an animal to get it to play to snap the perfect picture, or you might have to figure out when the item will come into play. The Captain's Pics area can give you much of this information, so make sure you're checking there under the picture frames to see what's required. This way you'll be prepared even before you set out!